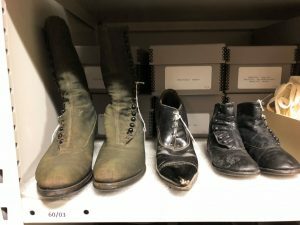 In my first blog post, The Decision to Digitize, I discussed the various challenges associated with digitization and why we do not digitize everything at the Archives. While most of our records will likely never be completely digitized, there are some occasions when it is appropriate to digitize an entire collection. I am not going to say that I exactly lied to you about digitizing archival records; but rather, this is one of those rare occasions when it was decided that the work and costs associated with digitization were well worth the advantage of accessibility. 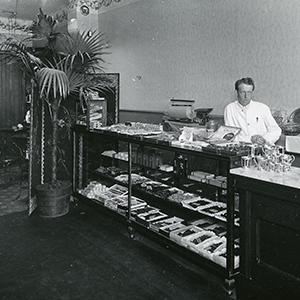 Last year, archivist Shannon Bettles wrote a blog titled, Alligators, Confectionary, and a man named Leary. If you have not had the opportunity to read this blog I strongly encourage you to take a look. The blog describes the fascinating story of how the Frederick Gordon Leary fonds (previously known as the Dragonfly collection) made its way into our collection. My favourite part is, of course, the Key. The Key gives you a brief inside into how us archivist will use the collection itself to determine provenance. Over the past summer, archival and curatorial assistant Rachel Vandenberg, and volunteer Ev Parker worked on digitizing and describing the Frederick Gordon Leary fonds. 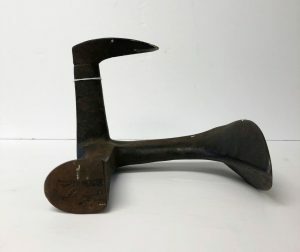 Some minor details have changed since Shannon’s original blog – most notably the name of the fonds and some of the specific identification numbers. Nevertheless, I am proud to say that all of the glass plate negatives and photographic prints from this collection have been digitized and described. 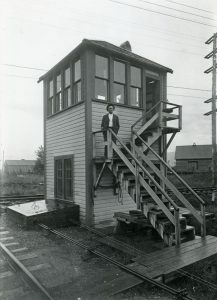 Please feel free to take a look at the Frederick Gordon Leary fonds on this direct link and enjoy these amazing photographs of Chilliwack just past the turn of the century. Once you have chosen your dream house from amongst photographs, feel free to change the search terms and take a look at our other collections. Sometime in 2015 Alain Nowak of Ladner answered a Craigslist advertisement about a stuffed alligator, as antique dealers do. Nowak’s Dragonfly Gallery is a local fixture on Ladner’s historic waterfront. Stuffed alligators are at home amongst church pews, commercial shoe stretchers, vintage tailgates, tin signs and tricycles. As it turns out, the reptilian carcass was being flogged at too high a price for Nowak. 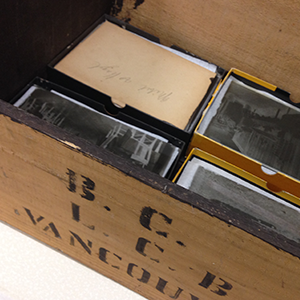 Determined not to leave empty-handed, he purchased a box filled with unbroken 5” x 7” glass plate negatives and hundreds of photographic prints from the seller who reportedly discovered them in a Coquitlam dumpster some 30 years. Last October I received a phone call from the Matsqui-Abbotsford-Sumas (MSA) Museum, when one of their Trustees stumbled across the collection at Dragonfly Gallery. After identifying the collection’s content as Chilliwack-centric, I received the 108 glass plates and prints for the Chilliwack Museum and Archives. 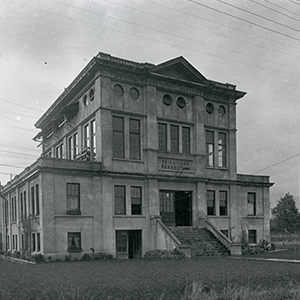 At the Chilliwack Archives, I examined the glass plates and photographic prints more closely. I recognized many of the image because the Archives has copies in the form of postcards in our collection already. In fact, the postcards in our collection were clearly derived from the glass plates. Though we were able to identify most of the locations pictured, questions remained. For instance: Who took these photographs? When where they taken? 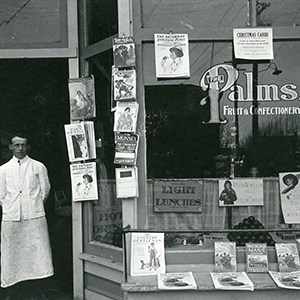 The photograph shows a man standing in the doorway of a store called: The Palm’s Fruit and Confectionary. 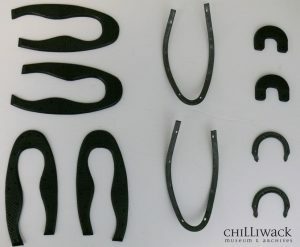 The Chilliwack Museum and Archives had already undertaken previous research on this business, having artifacts including a menu, in the artifact collection. 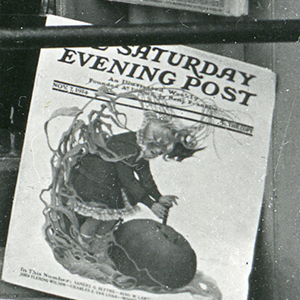 Detail from [2015.063.005] of the Saturday Evening Post magazine in the Palm’s window. Zooming in, we see the magazine is dated November, 1914. 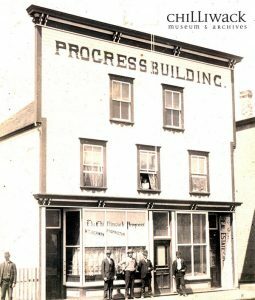 As well, a quick keyword search of the Chilliwack Progress newspaper, provided more information, such as the opening date of the business in 1914. 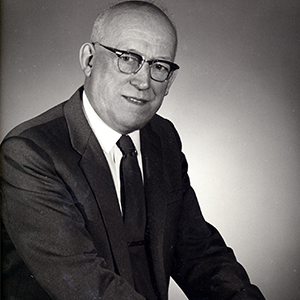 Knowing that Mr. Fred G. Leary was the owner of the business opened up more avenues of research. A search of the Archives’ catalogue reveals that we have some photographs of Fred Leary. Could the man in the Dragonfly photograph be the proprietor of the business Mr. Leary? We believe this is the case. 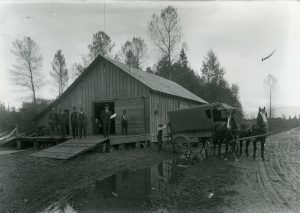 Therefore, the photograph can be dated to as early as 1914, when F. G. Leary opened his business. 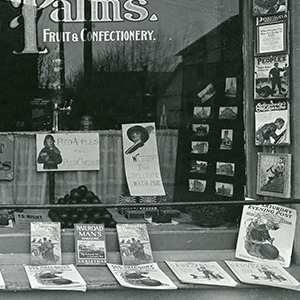 But it’s not the identification of Mr. Leary that is the clue unlocking the mystery of the entire collection – it is the postcards and magazines visible in the store window! If you look closely in the shop window, you will see a number of magazines. By scanning the glass plate, we were able to zoom in close enough to read the date printed on the magazine – November, 1914! This dates the photograph more precisely. Remember those postcards in the shop window? Look familiar? These postcards contain images of buildings around Chilliwack. In fact, these images are exactly the same images as the glass plate negatives in the Dragonfly Gallery collection, which are now sitting on my desk. It turns out that F.G. Leary developed photographs at the Palm’s, and it’s very likely that he, himself, is the photographer behind the photographs in question and producer of the glass plate negatives. This revelation suggests that the entire collection of glass plate negatives can also be dated to 1914 and can be attributed to Leary as photographer. Further, this means that similar postcards in our collection were likely purchased originally from The Palm’s confectionary. served in this capacity for 49 years, retiring as the longest serving elected official in 1975. In 1939 he became an accountant. Over the course of his long tenure in Chilliwack Fred Leary was a founding member of the Union Board of Health (serving as Chairman for five years); was a member of the Chilliwack Volunteer Fire Department, serving for 41 years and retiring in 1956; was secretary of the first Agricultural Hall Society, and member of the Chilliwack and District Agricultural Society; was Chilliwack’s Citizen to be recognized in 1956; was an active member of Chilliwack United Church and appointed as a Serving Brother of the Order of St. John of Jerusalem, 1956, by the governor-general in Ottawa. Langley, Dorothy (married William W. Reid), Terrace, and Miriam (married Allan Ruttan), Prince George. Frederick Gordon died in Chilliwack on October 6th, 1985 at the age of 96. He is buried at the Odd Fellow’s Cemetery, Little Mountain. A Chilliwack school, F.G. Leary Fine Arts School, is named in his honour. While much of this mystery has been solved, there is still a pressing question: How did the glass plates end up in a dumpster? To this we have no answer. At the Chilliwack Archives we do our best to answer questions and gather information about our collections. However, we rely on you – the community – to fill in the gaps with this and the many other collections we preserve. I encourage and welcome you to come into the Archives to view the Dragonfly Gallery collection highlighted in this blog. We will soon be adding these images to our online catalogue for easier access once they are digitized and prepared for long-term preservation. Ask any young person today and you’ll find out – technology changes quickly. That’s why we’ve updated our website! Our previous website built in 2010 was over five years old. Unfortunately, in the life-span of a website, that’s pretty old. 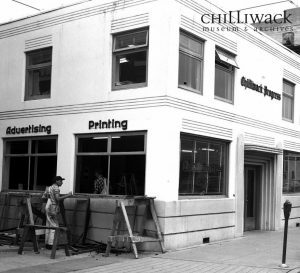 We hope you enjoy the look and functionality of our new online presence as we aim to bring you more online content about Chilliwack’s history. Make sure to follow our blog, bookmark our list of research links and visit our shop online. We welcome your feedback and thank you for your patience as we work out any kinks in the new website.